For The Time Being developed out of an awareness of the cloud studies of John Constable. He would write on the back of the paintings, recording the time and weather conditions as well as descriptions of the clouds that he had been painting. Clouds are ephemeral by nature and are emblematic of impermanence. 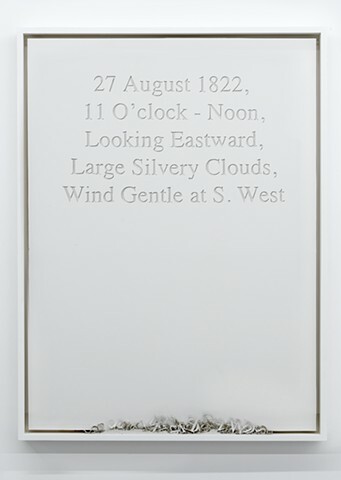 For The Time Being takes the form of a monument to the fleeting atmospheric moments captured by Constable in 1822, a kind of epic ephemerality.